Comedy actor Hugh Dane, whose most notable roles have been in NBC's The Office and Bridesmaids, has passed away at age 75. While he was not the most famous actor, he has had a number of supporting roles over the years, making him recognizable to a number of people. According to a report, Dane died May 16 of this year. His death was confirmed by the Los Angeles Inner City Cultural Center, who is hosting his funeral. His obituary describes Dane as a "loving husband, father, grandfather and friend," with his funeral being scheduled for Saturday, June 9th. Despite having no major leading roles, Hugh Dane is still a well known actor. His most prominent role was Hank the Security Guard in The Office, appearing in over 20 episodes of the mockumentary series. While he never had much character development in the show, his appearances were hilarious and appreciated nonetheless, becoming a highlight in almost every episode he appeared in. Dane first appeared in the second season of the show, and stuck around until the ninth and final season. No word if he was to reappear in the upcoming revival of the show. In addition to The Office, Dane appeared in a number of other hit series, including The Fresh Prince Of Bel-Air, Boy Meets World, Martin, Roc, Friends, Sister, Sister, The West Wing, Monk, The Steve Harvey Show, Everybody Hates Chris, New Girl, and most recently The Mayor, among many others. Furthermore, he had a fair number of movies under his belt, including Bridesmaids, Little Fockers, and Joy Ride. In total, Dane acted in nearly 50 different projects, from TV series to movies, and even to a few video games. A few of Dane's former co-stars from The Office have tweeted their thoughts and memories of Hugh Dane, including Rainn Wilson, Mindy Kaling, Andy Buckley, and even Steve Carell. Here is what Rainn Wilson, who played Dwight in The Office, had to say about the late actor. 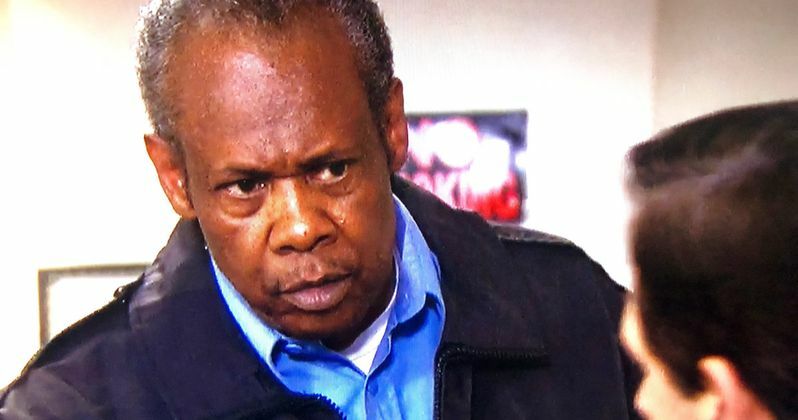 "RIP Hugh Dane, aka Hank the security guard. He was one of the greats. So kind, funny, talented. We will all miss him." At this time, Dane's cause of death remains private. However, given his age, it can be assumed that he died of natural causes. Those who have spoken about Dane since his passing have described him as a sweet and kind man who was truly fun to work with. Though he was not the most well known actor in The Office or anything else he really worked on, it is clear by the reactions of his co-workers that he will wholeheartedly be missed. Hugh Dane's obituary from The Los Angeles Inner City Cultural Center truly displays how beloved of a man he was. His funeral posting asks his loved ones to donate to the Inner City Cultural Center rather than giving him flowers, which is his final way of giving back to the ones he cared about even after his life has ended. Rainn Wilson even encouraged people donate as well in his tweet, adding onto the actor's final wish. Our thoughts go out to Hugh Dane's friends and family who have lossed a truly great man.